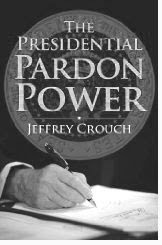 Jeffrey Crouch, an assistant professor at American University and author of the forthcoming book The Presidential Pardon Power, has a piece over at Politico.Com entitled: "Mr. President, Begin Pardons Now." 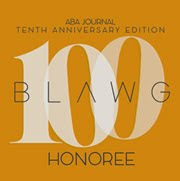 Crouch argues George W. Bush, Bill Clinton and George H.W. Bush "abused clemency for selfish reasons" and helped to make 'pardon' a "dirty word." At the same time, however, the piece criticizes Bush for failing to use the pardon power "to its potential" and for being too concerned about "political safety." George W. Bush was half right: Presidents should not abuse the clemency power on their way out the door. The point he missed was that clemency can provide a social good: A generous and regular clemency process can show that rehabilitation and redemption are possible in society. So, President Obama should "start pardoning early and often." Crouch says that, if he does, the pardon power might "lose its stigma" and the public might recognize "the positive potential" of this power. See the full editorial here.